I made this on a whim, for a fresh dinner last week. I fell in love and ate the same thing the next day for lunch. Give it a try and add things that you love, there is a ton of room to play with this recipe. 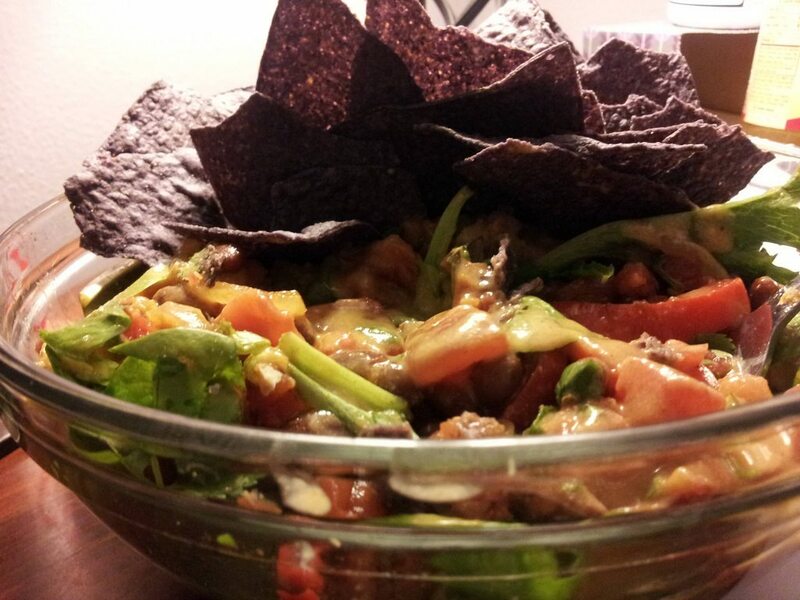 This entry was posted in Recipes and tagged bowl, chili beans, chili powder, cilantro, corn chips, diced tomatoes, earth balance, garlic powder, green bell pepper, kidney beans, liquid smoke, nacho, nutritional yeast, onion, red bell pepper, salad, spinach, water.